Price from 24.990 ISK PER PERSON. Add some action to your Golden circle self drive! Are you driving Golden circle on your own? Then maybe you would like to add a little excitement to your day, with a 1 hour, thrilling selfdrive snowmobile add-on from Gullfoss waterfall! 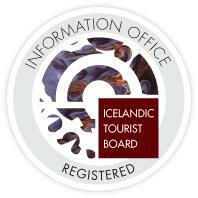 You can meet our driver by Gullfoss waterfall, where you can climb aboard your transfer up to Langjökull glacier base. The drive to there alone is an adventure! Once you are at the base, you will be geared up for a fantastic snowmobile adventure, for 1 hour of adrenaline inducing drive. Scheduled departure is from Gullfoss café daily – the timings may be flexible, so make sure to contact us the day before to reconfirm. However, if the timing changes, we will need your valid mobile phone number to contact you and inform you of the time change. Please don’t forget to fill out your phone number in the booking form. Good to know before the tour: Jeans are not suitable clothing; water proof jacket and shoes and a warm sweater are recommended You can expect any kind of weather in Iceland, and your snowmobile tour might be cancelled with short notice due to weather. Your safety is our number one priority!